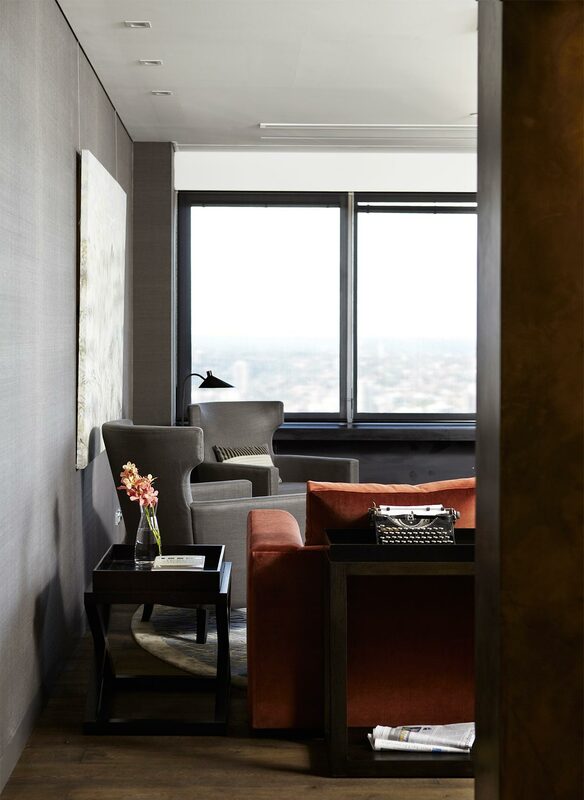 The brief for creating this boutique office in a city high-rise building was to create a warm inviting office suite, resembling an apartment – not a workspace. 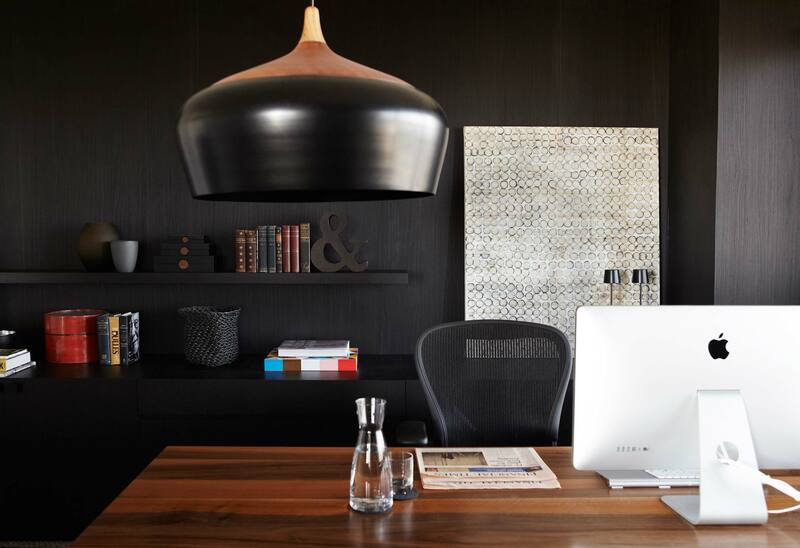 Director’s offices were to reflect their personalities and preferences, whilst working within the overall design. 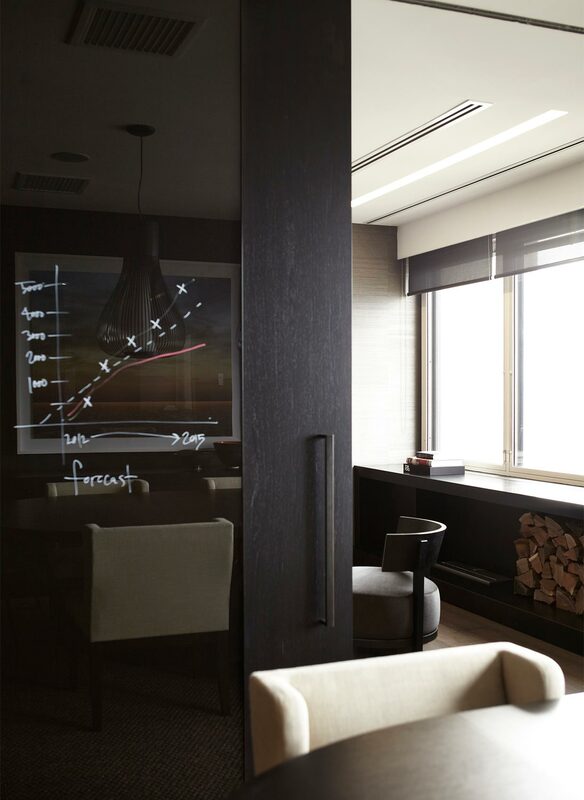 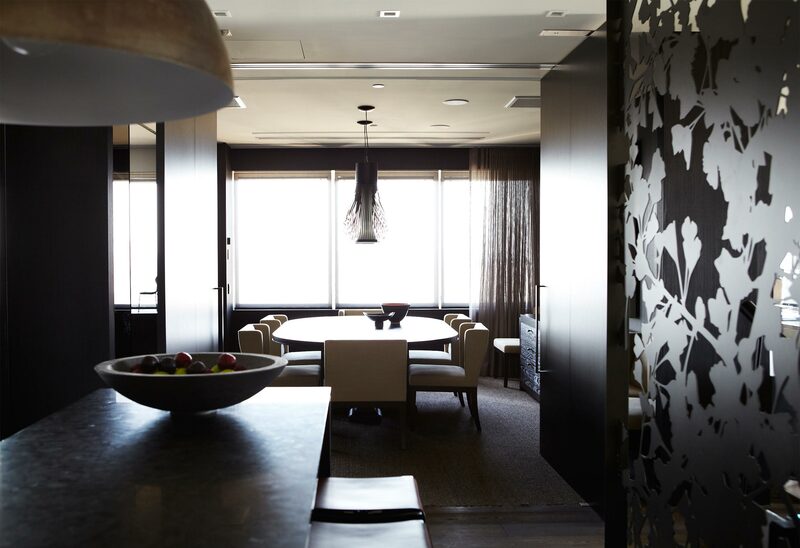 The front meeting room was configured as a living room with a fireplace and a link to the boardroom that doubles as a dining room. 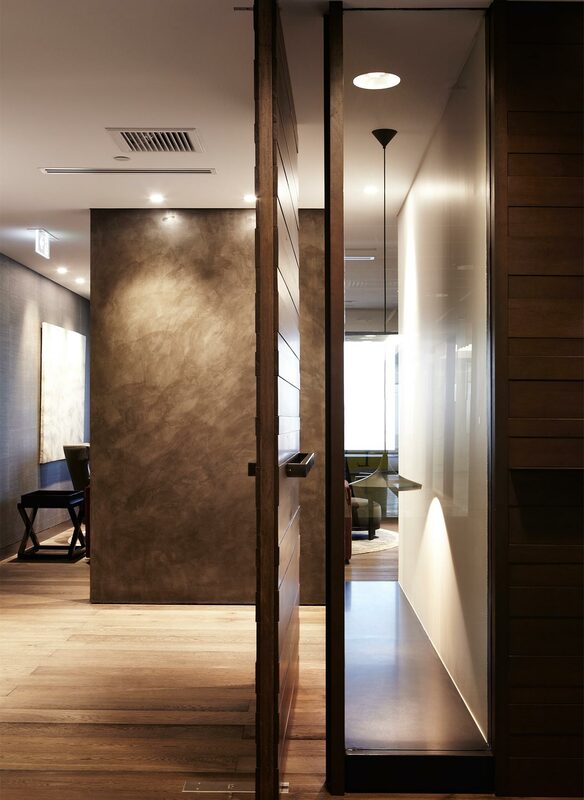 All doors on the periphery offices and boardroom open or pivot to allow light and a connection to the view for the staff. 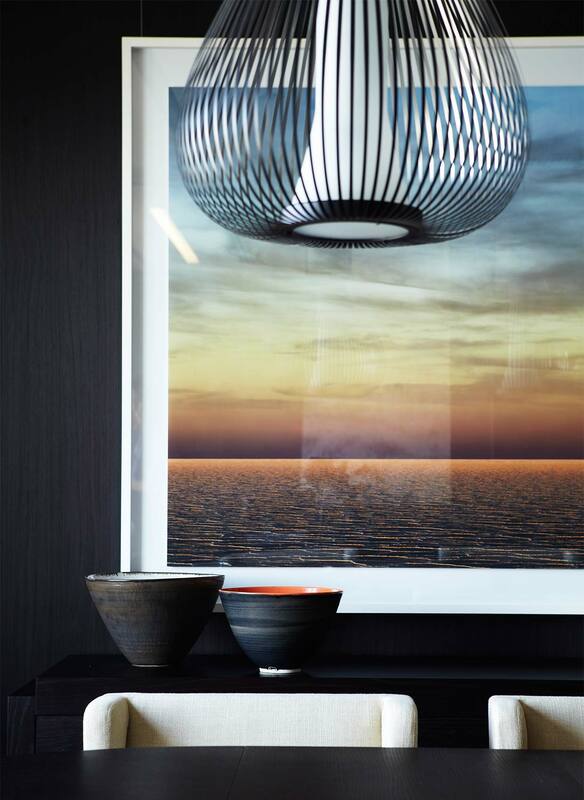 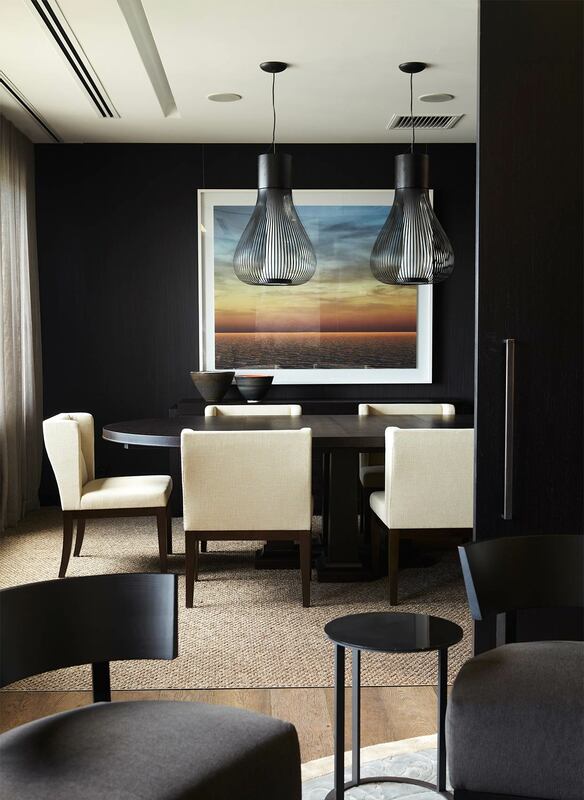 There is a rich feeling of texture and colour –with dark walls leading the eye directly to the spectacular view.